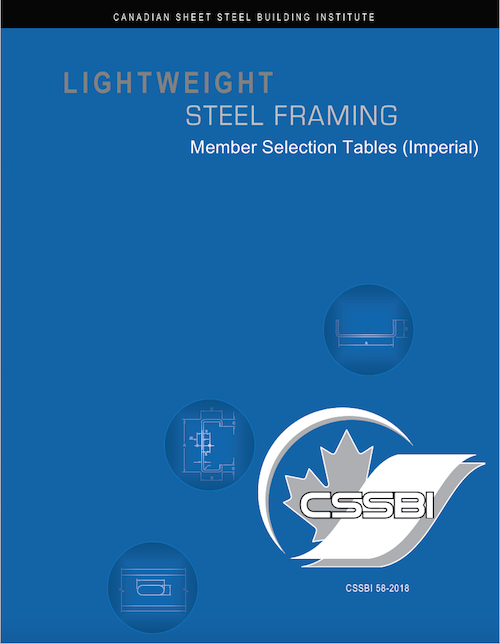 Our CSSBI 58: Lightweight Steel Framing Member Selection Tables have been updated and published and are now available as a FREE download in both Imperial and Metric values. These new tables conform to the requirements of S136-16, AISI 220-15 North American Standard for Cold-Formed Steel Framing - Nonstructural Members and AISI S240-15 North American Standard for Cold-Formed Steel Structural Framing. Both the Imperial and Metric tables can be downloaded from the Resources section or click on the links below to download them directly.